Many of the preparations for mobile coverage of Super Bowl 2017 were centered around the Houston NRG stadium itself. Major sporting events have become milestones for mobile video streaming and Super Bowl 2017 set a new mark by beating last year’s game by around 50%. 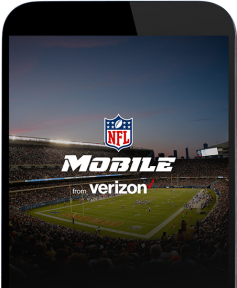 Verizon Wireless, which again had exclusive live streaming rights for the event on smartphones, had been betting on Super Bowl wireless data consumption topping 10 TB this year, up from 7 TB in 2016, and expanded its network capacity accordingly. The other leading mobile operators also had to deploy extra temporary or permanent capacity to a slightly lesser extent, given that their networks too came under strain from a lot of extra non-live traffic. The big winner in terms of network technology is the in-building Distributed Antennae System (DAS), which has become a key infrastructure component for both enterprises and mobile operators within venues or public places such as airports. DAS addresses the twin pain points of coverage in spots where signals would otherwise be weak and capacity given high demand in such places. There are various DAS options but they all work by distributing the received cellular signal over a local in-building network to remote radio heads located at various points closer to users. The building becomes a cell with a base station connected into the cellular backhaul network and attached downstream to a head-end locally which converts the service’s RF signals into a form for distribution over the DAS network, which could be digital signals over fiber optic or Ethernet cables for example in a so-called active system. Then the remote radio heads convert the signals back to the in-band licensed RF frequencies so that user devices such as smartphones can access the cellular service as normal. Typical DAS configuration at sports stadiums. Click to enlarge. Image: Emcore. Verizon in particular went overboard with DAS for the Super Bowl 2017, installing what it has claimed was one of the largest DAS networks ever deployed in the US for the Houston NRG stadium itself. This included an outdoor DAS for spectators around the stadium before during and after the event, as well as a DAS in the arena and in the NRG center. Verizon also deployed DAS connected direct to a base station at the NFL Experience Driven by Genesis at the George R. Brown Convention Center throughout the Super Bowl weekend. This is the NFL’s own major continuous event surrounding Super Bowl, an interactive theme park offering participatory games, youth football clinics and autograph sessions from NFL players as well as legends. Verizon said it had for the first time deployed one of its patented antenna systems to reach the lower stadium seats effectively, which in the past have suffered from poor cellular coverage. Other operators also deployed DAS to boost capacity in venues for Super Bowl, with AT&T having made various upgrades at the NRG Stadium itself over the 2016 season which it said had increased LTE capacity by more than 100% over the year. AT&T’s DAS in the stadium now provides capacity equal to 16 normal cell sites, covering the stands, suites, concourses and restaurants, as well as tailgating areas outside the stadium as Verizon has done. AT&T’s stadium DAS network comprised more than 770 antennas hidden throughout the stadium and more than 12 miles of cable. AT&T also installed or upgraded DAS at 13 nearby locations including the George R. Brown Convention Center, as well as the NRG Convention Center, along with several hotels and two airports. Verizon and T-Mobile COWS installation. Click to enlarge. Image USA Today. There are other ways of boosting coverage and capacity, such as Extended Range LTE, which T-Mobile deployed in the Houston area, which doubles the range from the cell tower and also penetrates building structures more effectively. T-Mobile claims that it boosted 4G LTE capacity by five times in the greater Houston area on a permanent basis. At the same time, since events like Super Bowl generate a big surge in traffic that is not sustained for the rest of year, some of the extra capacity is most effectively provided on a temporary basis. 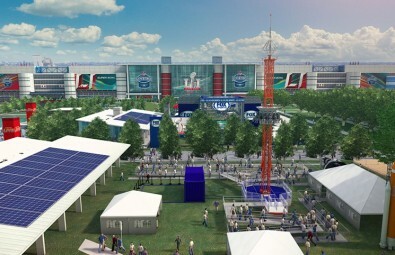 Verizon deployed 79 small cells in and around the area of Discovery Green, the family-friendly area in downtown Houston open for nine days around the event, staging free entertainment across the area of 13 football fields. 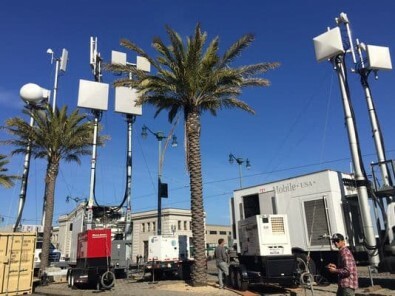 Verizon also deployed three Cell on Wheels (COW) around Discovery Green, incorporating Masting Ball technology that divides crowds into sectors like pie slices, each one configurable to optimize traffic according to distribution of people in the area. Verizon also activated seven COWs to serve the stadium and city events, while AT&T deployed nine COWs. Cell on Wheels (COW) deployed around the family-friendly Discovery Green. Of course, Super Bowl wireless coverage is not just about cellular, with Wi-Fi also featuring prominently both in the NRG stadium and other venues. This scores in particular for non-Verizon customers who wanted to access live streams, which they could do by accessing the Fox service over the Internet via Wi-Fi. Last year 10.1 TB traffic was transmitted over the Wi-Fi network at Levi's Stadium in Santa Clara, CA, on the match day for Super Bowl 50, more than for any previous sporting event, and that was set to be repeated this year. Extreme Networks was the official Wi-Fi and analytics provider for Super Bowl 51 and retrofitted the NRG Stadium in partnership with wireless technology vendor 5 Bars to install 1,260 access points throughout the stadium complex. Extreme Networks said it had 20 employees on hand during the day to help fans over connectivity issues. One of the losers is LTE Multicast, which was developed for more efficient streaming of live events in places such as venues where many people want to view. LTE Multicast is based on the evolved Multimedia Broadcast Multicast Service (eMBMS) standard, allowing the same content to be sent to a large number of subscribers within a given cell at the same time for more efficient use of both backhaul capacity and spectrum in the RAN (Radio Access Network). Verizon led early deployments and was almost an evangelist for the technology, building a US-wide footprint for distribution. The operator conducted early demonstrations, including one at Super Bowl 2014 in a tent just outside the stadium. AT&T followed a year later at Super Bowl 2015 by broadcasting three live channels comprising two streams of clips and replays from different camera angles. Yet, significantly as it turned out, these were still just demonstrations, confined in this case to 40 LTE Broadcast enabled Samsung Galaxy Note 3 Android smartphones. Verizon Wireless erected temporary cell towers at airports and hotels around Houston as well as the NRG stadium to cope with the anticipated deluge in mobile traffic. In the event LTE Broadcast has failed to get going beyond demonstrations, at least for video streaming. It has failed because except in a few cases most mobile users want to access streams or clips in their own time on a unicast basis, rather than when multicast. Spectators watching an event in a stadium are unlikely to want to view a live stream at the same time but instead will be interested in clips such as replays, interviews, or non-video data such as stats, on demand. It may be possible to cache such content locally but the final streaming over the RAN will then be unicast, serving users on demand. For this reason, LTE Multicast were not in evidence much or at all at Super Bowl 2017. AT&T never followed up on its 2015 demonstrations by fitting its network with the technology. Even Verizon has now admitted video over LTE Multicast has failed to gain the traction or generate the revenue it had hoped earlier. If LTE Multicast does have a future it is more likely to be for distribution of data associated with applications which people are happy to access at the same time, like software updates. By the same token interest in lesser known mechanisms for multicast video streaming over Wi-Fi has also declined. But as we saw from Super Bowl 2017, the focus has shifted back to mechanisms for more efficient and cost effective transmission of unicast traffic over Wi-Fi and cellular. It is not just broadcasters and pay TV operators that have struggled to cope with the accelerating momentum behind OTT, because it has been just as challenging for their technology providers.